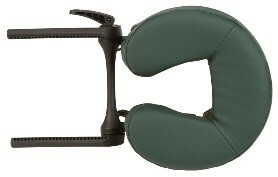 Bodyworkers are presented with a wide array of choices of head rest support for their massage tables. We break it down for you so you can make an informed choice when you are ready to purchase. Let’s define what we mean by “head rest”. 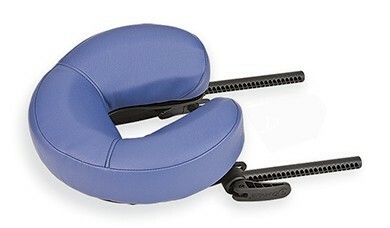 The Head Rest is an attachment that supports and positions the head and face. It inserts into one or both ends of the table and is comprised of a platform that both inserts into the table and acts as the foundation for the pillow pad (or cushion) which attaches, usually with Velcro to the platform. We mentioned that the head rest consists of the platform and the pillow pad. So this means, in theory, that not only can you mix and match head rests, but you can mix and match pillow pads. We will talk more about that later. The first Head Rest I am presenting is as extinct as a pterodactyl: the much maligned rarely seen “plain” (straight, standard, non-adjustable) head rest. I aim to bring this head rest back to life. Buy it here. Here’s why: Sometime, somewhere, when you least expect it, your fancy head rest will break. Perhaps your head rest is top notch with a lifetime guarantee, or a cheapo model purchased in a back alley. Regardless, all adjustable head rests have moving parts prone to breaking either through regular use, or when someone decides to use the head rest as a support when turning over or decides it’s a nice seat. When this happens, you will wish you had a backup because you will be out of business until you replace the head rest. The plain “pterodactyl” head rest is the perfect for this. Trust me on this! 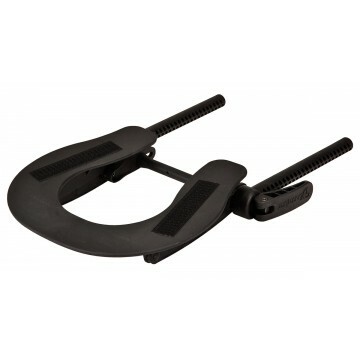 The most common head rest on the market is the standard single lever adjustable head rest. The single lever adjusts both the tilt (angle) and the height of the head rest. This simple design creates one of the most functional head rests. The platform allows an excellent surface foundation to affix the pillow pad (which is usually sold together as a unit). You can easily mix and match different pillow pads with this unit. 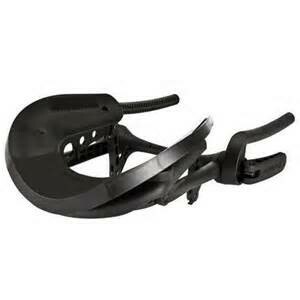 Many different manufacturers use this head rest design, but quality varies widely. Stick to the major brands mentioned above. This remains my favorite head rest. 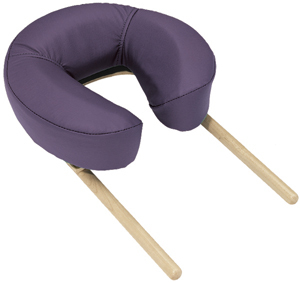 This type of head rest is manufactured by Oakworks. The double levers allow a huge range of adjustment in height and tilt, some variations totally out of the realm of what you would practically use. Two things to keep in mind with this design: because of the double pivot design, the pillow pad will sit quite a ways from the end of the table leaving a gap. 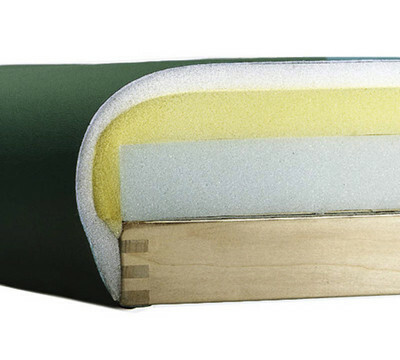 Also, notice the tubular construction – this has much less surface area to affix the pillow pad – thus you will be limited to using the specific Oakworks pad, which has a platform surface built into the actual pillow. If you try using other pillow pads without reinforced backing, the pad may collapse offering little support for the face. Personally, I am not a fan of this design for tables, however, I do like this on massage chairs, for instance the Portal Pro, where it works great. 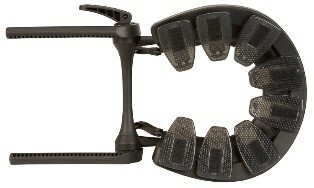 The Flex Rest elaborates on the common adjustable head rest adding flex into the platform. The idea is that movement and flex aids in comfort for the recipient. 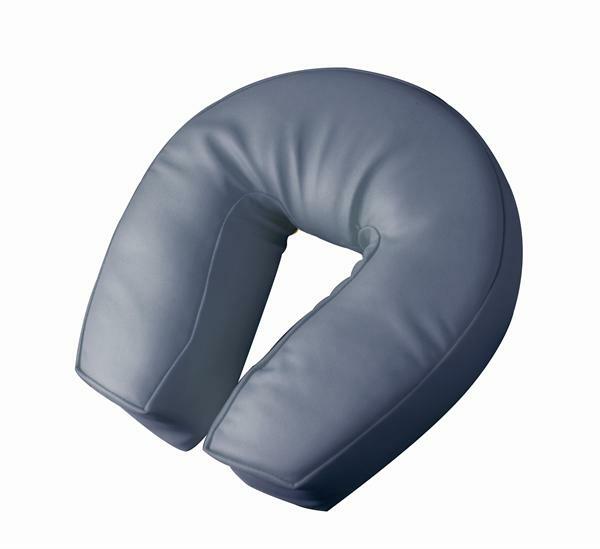 The Flex Rest uses a memory foam pillow pad that is designed to be used with the flex rest platform. Thoughts on this system. The design allows more adjustment than the standard single lever: it will go lower and higher. However, this comes at a price, in my opinion anyway. The head rest will not sit flush up against the table the way the simple adjustable head rest will. It does not leave as much of a gap as the Oakworks, but still that gap may be issue for some of you. The foam also is quite soft and with deeper work or if the recipient tends toward forward head posture, the recipients face could compress all the way to the platform. If you check other reviews floating around on this, you will see these points repeated. 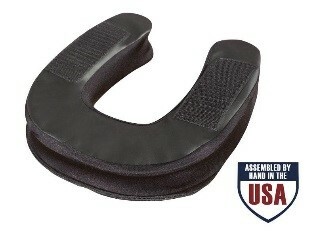 The Caress Head Rest is similar to the Flex Rest with the main difference being that it uses a sequence of petals to produce the flex in the platform. The Caress and Flex Head Rests use the same type of memory foam pillow pad. The pedals are more prone to getting damaged, so my advice would be: if you like this style of head rest, chose the flex if you transport your table, move it around a lot, or have many different therapists working on it. Otherwise, if your table remains mostly stationary and the head rest is treated with care, the Caress will work for you. Take into account the same considerations mentioned above regarding the flex rest while considering if this design will work for your needs. 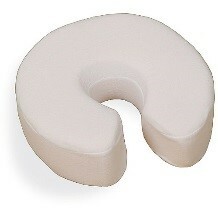 This head rest uses a radically curved platform on which a pillow pad is affixed. Aside from that, it shares the single lever design for height and tilt adjustment. My take is it looked more comfortable than it actually was. The pillow pad is surprisingly hard. Your mileage may vary. That’s it for the most common Head Rest designs. Now, let’s take a look at the various Pillow Pad options. As I mentioned before, most manufacturers make the head rest platform and head rest pillow pad as a unit and sell together. But this does not stop you from being able to mix and match platforms and pillow pads if you choose. Just keep in mind that many are sold as a unit for a reason – Like the Oakworks platform (double lever Quick Lock) requires the pillow pad has the support built in, limiting your choices. Otherwise, go ahead and experiment. This pillow pad is made completely from memory foam (which contours to the shape of the face when warmed with body temp). It is covered in cloth fabric (rather than traditional, much easier to clean, Vinyl) making it essential to protect and cover this pillow pad. You can machine wash, but it’s not the easiest thing to remove and re-cover over the foam. Note that you can buy replacement covers at a reasonable price, if needed. This pad is big and soft. Avoid if easily claustrophobic! Because it is pure memory foam, there is the possibility of it compressing all the way down to hitting the platform with enough pressure and heat. Some like it and some don’t. 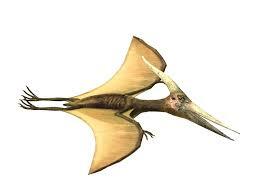 The one shown in the picture is made by Earthlite. This creation from Oakworks incorporates multi-layer foam cushioning with water spheres. The aim of this design and construction, according the literature from Oakworks, is to create a comfortable relaxing pillow pad that conforms better and reduces pressure. In my trials of this pillow pad, I find it large and soft, like other aftermarket pillow pads. Initially it feels super plush but as soon as any pressure was applied to my back, my chin started sinking eventually resting on the head rest platform. This is the flaw of most pillow pads that mistake soft and plush for functional. You can try to limit the lack of support by adjusting the pillow pad and changing the height and angle of the platform, but I was never able to get it quite right. The Boiance Float is a companion to the Boiance. It is not strictly a pillow pad, but an insert that rests between the platform and the pillow pad. It can us used on most head rests, with the exception being the flex and caress as these probably do not offer enough stability to affix it. 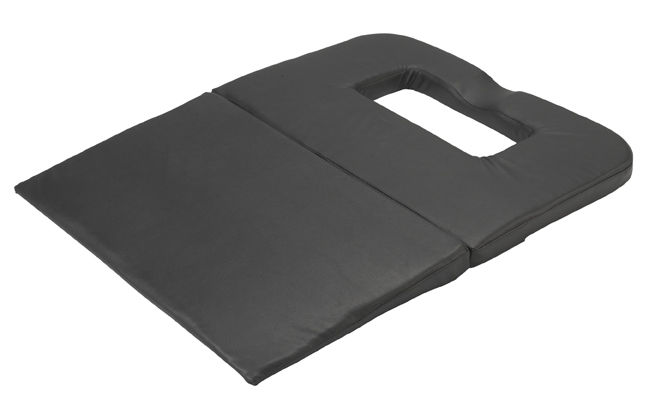 The Boiance Float allows the pillow pad to float, or move around, during the treatment. It’s like being on a cruise ship. Is that a good thing!? You be the judge. 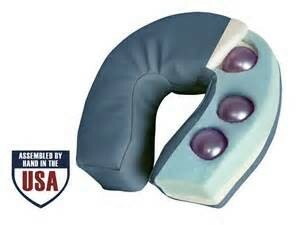 Oakworks’ literature states that the Float eliminates cervical compression. The only thing I noticed is that all the inherent weaknesses of head rests remained while the float was on, but my head was moving around – like a bobble head. At press time, this was in proto-type phase, but I was actually able to see and try the product and was pleasantly surprised. I have seen, tried and bought so many headrests over the years and this one approaches positioning from a new perspective. 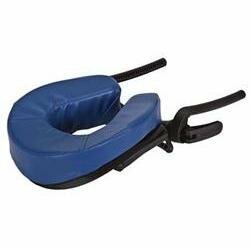 This design adds support to the chin to distribute the weight over the entire face which has the effect of decreasing pressure on the sinuses and relaxing the curve in the cervical spine. Oh, yeah and no more clients complaining that their chins are falling through or fidgeting around to try to get comfortable. Check out the video for more information. Conclusion – So, what to make of all this? Which head rest should you use? Like many things, the answer is not straightforward. Choosing a head rest is a bit like choosing a pair of shoes. Personal preference and tastes will come into play, and what works for one person might now for another. However, within the variations one might choose, all shoes must protect and provide some sort of support for the feet. Head Rests are like shoes, some look great and don’t function well and others you might like so much you buy a pair in every color. Choosing the right Head Rest should involve a balance between function and comfort. I’ve concluded that sometimes simpler is better. In doing your own research you should trust your observational skills and brush up on your postural analysis and your anatomical knowledge. Hope this has been helpful. Choosing a massage table is not a difficult process. In this guide I will show you how to determine your needs, choose a quality massage table and pick the best options for your table. We will look at some massage table reviews to help in your search. 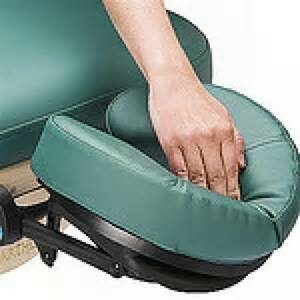 This portion covers portable massage tables. Join me in another segment, where I will cover stationary and electric lift massage tables and a more detailed review of options. Budget – Cost is the first consideration in purchasing a massage table. Decide on your budget. 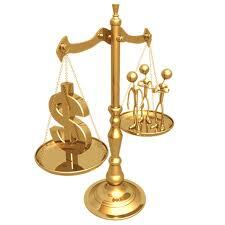 Lower cost does not necessarily equal lower quality. I never recommend sacrificing quality in choosing a table. Follow my recommendations to get the best table with the correct options, for your needs. I am placing the cut off point at a minimum of $200 (with shipping) for a complete table (table, head rest and carry case). You can go cheaper but the return on investment becomes less compelling when you decide that $89 sounds like a great price for a table! There is no point in purchasing something that is not suited to your needs or compromises your client or receivers comfort or relaxation all for the sake of saving $25. Table Type – To make your decision easier, I find it useful to group massage tables in categories; Entry Level, Professional, and Lightweight. 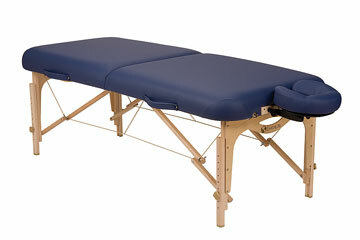 Entry Level Massage Table: If your budget is limited, this is where your search will begin. Perhaps you are a student or potential student, want a table for home use, or are not ready for a higher end table. Your goal and focus will be on maintaining quality, buying a table with a sound foundation and solid reputation. You will need to skip some of the more expensive options (which you may be able to purchase later after market), and zero in on the specifications that suit your body and treatment style. Gimmicks to avoid: (1) in an effort to reduce costs some manufactures will resort to “seconds” quality in the raw material to build the table. In most cases a “cosmetic” flaw would not bother me as long as it doesn’t affect the stability or construction. An example of a cosmetic flaw might be a discoloration or small tear in the fabric. If however there is a knot in the wood in the wrong place it can dramatically weaken the table making it prone to splits and cracks which are the most dangerous type of table malfunction. (2)”Thick” foam in cheap tables; quality foam is expensive and if the table is cheap and the foam thicker than you would expect you should be skeptical. Nothing feels worse or wears out faster than cheap foam. You can always add a layer or quality fleece pad to your table later for additional padding. (3) Quality control/Reputation: the construction of the table and the reputation of the company, especially if you care about after service, should factor into your considerations. Do your own research, discuss with your school or talk to an objective distributor to gather information. A little thing like a broken head rest or an end plate not fastened correctly could create a lot of grief and time lost for you. 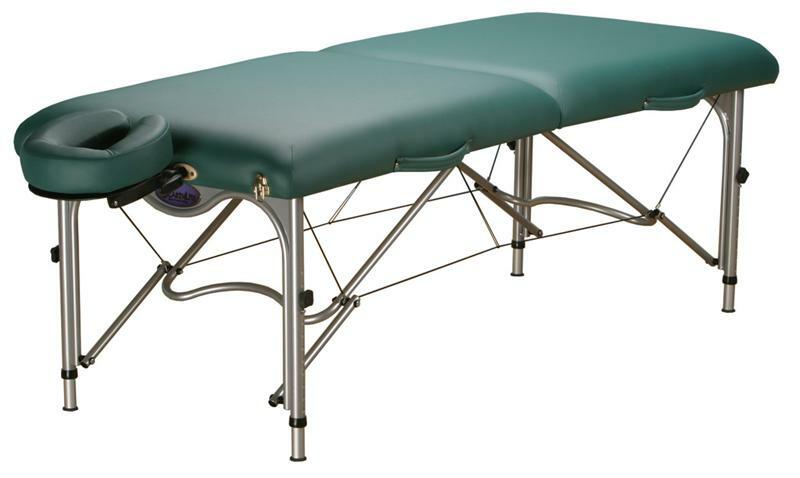 Professional Massage Table: Purchasing a professional table generally gives you more freedom to customize your table and the certainty that you are getting the best quality construction and raw materials like wood, foam and fabric. Professional Massage Tables often have layered foam, high quality fabric and the option to choose from various widths to suit your height and style. Higher quality materials can add weight to your table so expect a professional table to weigh in between 30 and 35 pounds. 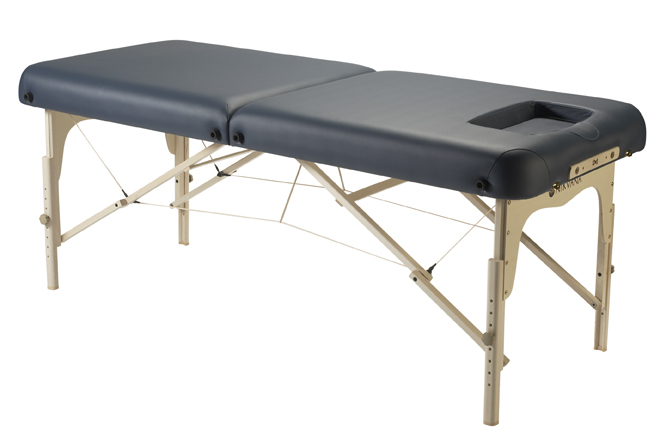 Professional massage tables offer more comfort and support and often have standard features like reinforced open (Reiki) endplates or rounded corners. Lightweight Massage Tables: If you plan on transporting your massage table or if outcalls make up a large portion of your business you will want to consider a lightweight table. The savings in wear and tear to your body can be significant. If built correctly, lightweight tables will provide all the strength and quality of a regular massage table at a much lighter weight. This weight savings is accomplished by using lightweight aluminum alloy in place of wood on the under structure and creatively using foam layers to retain comfort yet keep the table light. I don’t recommend adding additional foam to your table because foam adds weight and cost which defeats the purpose of buying a lighter table. Additionally, some manufacturers are using innovative materials (aluminum and ballistic fabric) in place of traditional (wooden) table top frames which are usually made of poplar and plywood. A true lightweight table should be 25 pounds or less. Some manufactures offer lightweight tables that are over 25 pounds so I am going to break lightweights down into 2 categories; super lightweight and lightweight. (1) Bulk – if you are transporting your table any extra width is bulk you need to lug around. 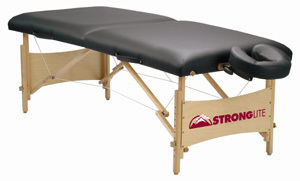 Lightweight massage tables tend to be on the more narrow side in order to avoid the bulk factor. (2) Client Comfort – New students tend to favor client comfort and therefore may choose a table that is too wide or too heavy for them. Choose wisely – remember a practitioner in pain is not going to give a good treatment! Therefore choosing your table width should be a balance between your comfort and your client’s comfort. The goal is to maintain proper body mechanics while keeping your clients happy. If you practice a modality that requires your client including their arms to fit on the table in supine position then you will need a 32 inch+ wide table. The reason a wider table can be problematic is that the practitioner will need to reach further across the table to work. This has the potential to create back pain in shorter therapists or those with existing muscular / skeletal conditions. Some practitioners like physical therapists prefer a narrower table so they can get in really close and practice range of motion techniques (see later in article). Length: The table length is usually fixed at 72-73 inches (185cm). This length seems to accommodate all body types and styles. When lying prone (face down), the removable head rest option adds another 12 inches (30cm) of length. When lying in supine position a bolster can be used under the knees to effectively shorten the height of your client. 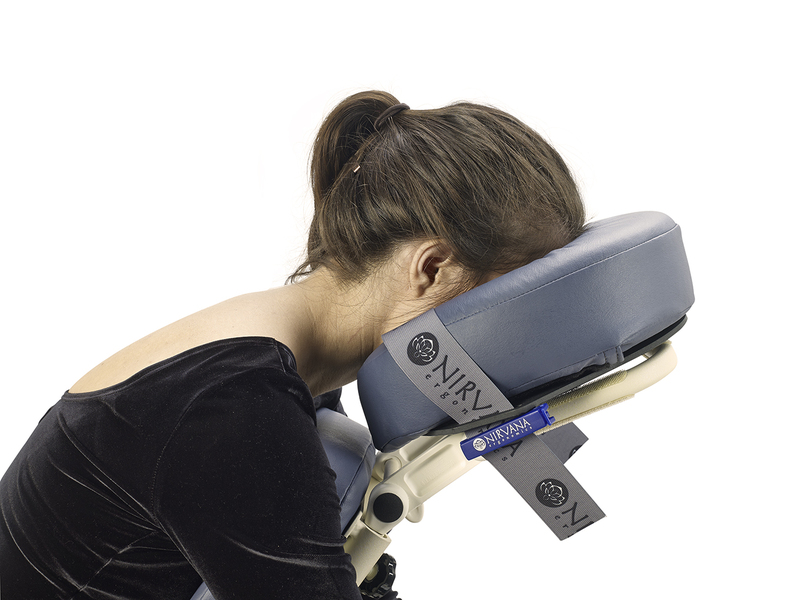 It is customary to remove the head rest in supine position however, if you have a very tall client you can use the head rest as a pillow pad for the clients head and let the feet fall over the end. Most tables also have the option to add a footrest which typically gives you another 9 inches in of length. Table Height: Ideal table height is determined by several factors: personal preference and ergonomics, modality or style performed, and advice and direction from your massage school (hopefully they taught this!). Almost all tables come standard with adjustable height approximately 24 inches (60cm) to 34 inches (86 cm). 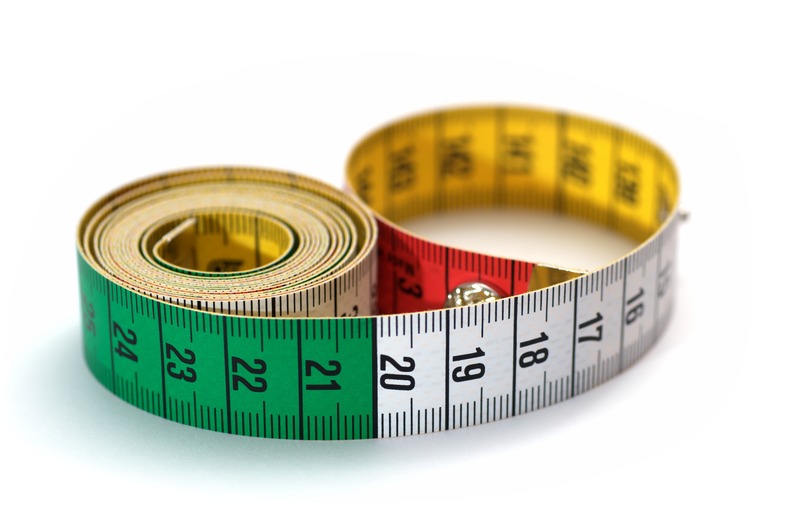 This height range accommodates most practitioner heights and preference combinations. If you fall outside of this range, you will need a custom built height range. Several manufactures offer this. Call around if you require this. The height adjustment is achieved through a simple process of knobs (single or double) and adjusting the leg height, or push button in the case of aluminum lightweights. Generally, there are approximately 8 height choices within the lowest and highest range. Foam: More foam does not equal better foam! Foam quality is related to the density of the foam not the thickness. The trick with massage tables is to create a comfortable and supportive surface without tipping the scales. Watch out for cheap tables with 3″ or even 6″ of foam. You might end up with a “brick” of foam which is either mostly air or hard as a rock. Better foams will have a firm supportive base yet feel plush. Often times the more creative manufactures will layer foam to create a better working surface. Remember, in massage not only are you lying on the table, but you are being pressed, kneaded and rolled. You do not want mush for foam! Table Surface: This is a first! You will not see any other massage table reviews discussing table surface as a choice. I am happy to be breaking new ground here. Lying down on a massage table can be uncomfortable especially in prone position. Why? Because the table is flat but the body is not! A head rest is nice, and a bolster under the ankles as well but how about the rest of the body? Ideally we want the skeletal structure to support the pressure and not the soft tissue. When you think about this it makes total sense. Not only is the recipient more comfortable, but the treatment and relaxation process more effective with better support. Therefore, I ask you to consider this along with everything else as you make your table choice. Probably in the future, this will be standard equipment. Already have a table, but are convinced table surface ergonomics makes sense? Read on below for table accessories we will consider. Fabric: Fabric should be both durable and easy to clean. Fabric technology has come a long way in the last few years. While still synthetic material, the new materials are much nicer, softer and more environmentally friendly. Older and cheaper massage tables use fabrics with PVC (vinyl plastic) which is more damaging to the environment and releases harmful chemicals through a process called out gassing. The most reputable manufacturers use higher quality fabrics which are polyurethane based PVC free. Some manufacturers offer a higher quality vinyl called ultra leather. Ultra leather is typically PVC free, softer, lighter weight and more expensive. While I love this fabric the standard that comes on most quality massage tables is very sufficient. I do recommend the upgrade for lightweight tables if you can afford it because it will save 1 to 2 lbs of weight. At 34lbs for a regular table the weight savings will hardly be noticeable, but at 25lbs the weight savings does make a difference. Face Rests: Face Rests provide more comfort for face down massage by supporting the face with a pillow pad and alleviating stress on the neck. Most are removable and use extensions which insert at either end of the table. Face rests or face holes that are built into the table are also available but less common. Keep in mind these will effectively shorten the table in prone position and require specially cut fitted sheets. There are many different styles and types of face rests. 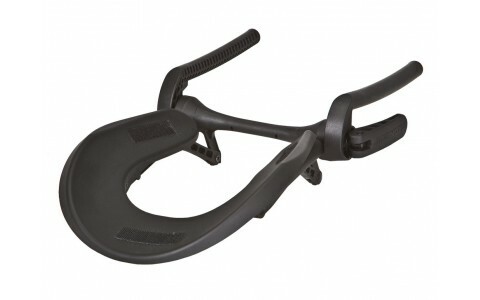 The most common are “Straight” head rests which are non-adjustable but very stable. 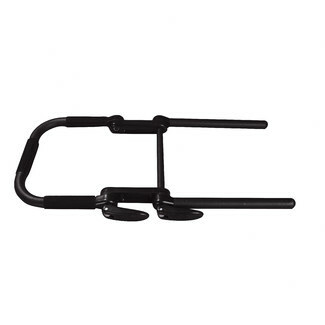 Adjustable Head Rests typically adjust in tilt and height. Moving parts can create the potential (although rare) for damage. There is a range of headrests and new technology in foam and adjustments which I will review in more detail in another segment. 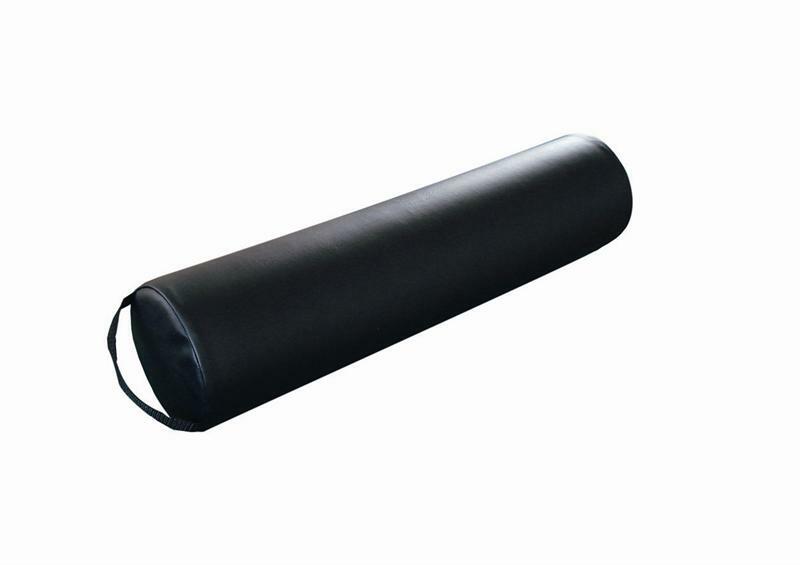 Bolsters: Bolsters come in a variety of shapes and sizes from fully round to flat on one side to semi round. They are traditionally used to support under the ankles in prone position, and the knees and neck in supine position. Arm Shelf/Table Extension/Side Arm Extenders: Sometimes it is useful to add some length or width to your table. The table extension is inserted into the head rest outlet holes and adds approx. 12″ of length to your table. The universal side arm extenders (bolster armrests) add approx 4 inches (10 cm) on either side (total 8 inches, 20 cm) of your table. Bolster Armrests can be adjusted to fit most tables. They are attached by straps which drape across the table surface and then are further secured with Velcro on the inside table top frame and a snap closure under the table top. Although they will not support total body weight they are surprisingly secure. Arm Shelves are a nice option to support the arms under the face rest. Arm shelves come in a variety of styles, from the simplest arm sling to shelves screwed directly into the table leg or secured from the above table top rail. Most can be used on a variety of tables but some are manufacturer specific. 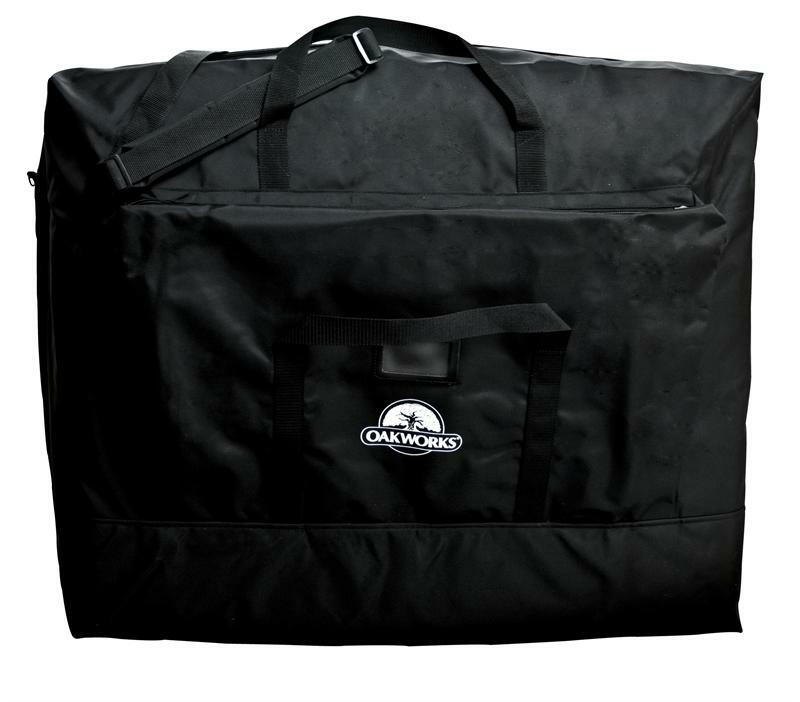 Carry Cases: Carry cases like head rests are usually included in the purchase of the table. They can also be purchased separately. The case is designed to protect your table and fabric. The bottom of the case is reinforced with tougher material to protect against abrasion. There are several handles and a shoulder strap to make transporting easier. You will find single pocket and multi pocket designs to help carry your accessories. Some cases have wheels attached. I prefer a table cart, which you may take on and off as needed. The case with wheels adds bulk which will require you to list the table higher as you go up steps or stairs. Linens: Keep your table fabric looking new with these tips. Never allow oil to remain on your table fabric. Over time oil will dry out and crack the fabric. Clean oil stains immediately with a soap and water or suitable mild cleaner. Linens can help protect your table from oils and tears by creating a barrier between sharp objects and the surface of your table. I usually leave tears alone. Some people choose to use a vinyl repair kit. You can find these in any hardware store. Most practitioners use cotton flannel linens. These are custom made to fit massage tables. A sheet set includes a fitted sheet, a flat sheet and a crescent cover for the face rest. Also common are cotton/poly and interlock jersey sheets. If you do outdoor or sports massage, I find fitted plastic sheets very useful and protective. Nirvana Body Wedges: These simple triangular wedges are designed to fit right under the hips, specifically supporting the ASIS (anterior superior iliac spine). The further they are inserted, the higher the hips are supported. This can reduce pressure on the low back. Body Cushion: This is almost like a massage table on a massage table. Through a series a contoured foam layers, a hip support, a torso support and a head rest, a platform is designed to support the body’s skeletal structure while keeping pressure off areas of soft tissue like the breasts and stomach. 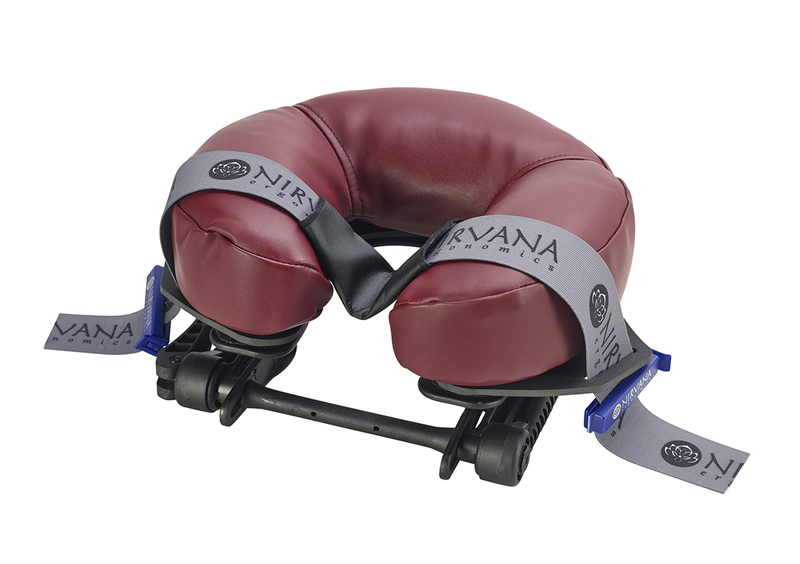 Nirvana Mate: This achieves the same goal as the body cushion in a simpler system at a fraction of the cost. The Nirvana Mate uses contouring and soft tissue recesses to achieve a more comfortable and effective treatment. The Mate is a perfect after market product for those wanting the ergonomics offered in the Nirvana Massage Table but already have a flat table. Whew! I’m exhausted. I think I gave you a good bit of information to digest for now and hopefully enough for you to make and informed purchase. Good luck!